All over the country, members of the U.S. House and Senate have been holding Town Hall meetings to gauge the feelings of their constituents on a number of issues, ranging from Republican efforts to repeal the Affordable Care Act to President Donald Trump’s appointment of Judge Neil Gorsuch to the Supreme Court. 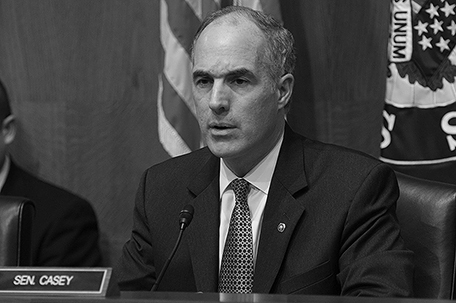 On Sunday, it was Sen. Bob Casey’s turn. 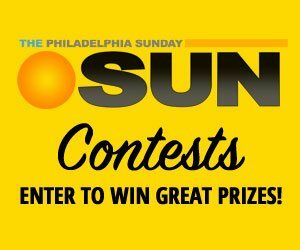 Sen. Casey (D-PA) spent his Sunday afternoon with voters at the University of Pennsylvania Museum and tried to answer their questions in a Town Hall forum that was also broadcast statewide via Facebook Live. The state of healthcare, specifically the American Health Care Act unveiled by Republican Speaker of the House Paul Ryan last week, was the lead topic of conversation. With the exception of the protections for people with pre-existing conditions and the provision allowing young people to remain on their parent’s health insurance until they turn 26, there’s not a lot of the Affordable Care Act left in the American Health Care Act. The subsidies and tax credits that made insurance more affordable by lowering deductibles are gone and in 2020, the Medicaid expansion will be history as well if the bill passes. That was a cause for concern for many in the audience who were on Medicaid and Medicare due to disability and/or poverty. Casey, who is up for re-election in 2018, let them know that he understood their concerns. But while the plan to phase out the Medicaid expansion has been the subject of much discussion, Medicare’s future under RyanCare is pretty grim as well. What the AHCA wants to do with Medicare is turn it into a voucher program, meaning that the states would get a certain amount of money in the form of a Block Grant that could be used for anything, including providing health care. That would make things worse for the citizens of Philadelphia, a place where poverty is an issue for many. While the future of healthcare was a main topic of conversation during the Town Hall, it wasn’t the only topic. Many people asked Casey about how he’d fight the Trump Administration’s policies on the environment. Others wanted to know if he was going to demand an Independent Council to look into President Donald Trump’s Russian connections since Attorney Gen. Jeff Sessions couldn’t due to conflicts of interest. Since the Supreme Court confirmation hearings for Judge Neil Gorsuch are scheduled for this week, the topic of his record, and it’s trend toward protecting the rights of corporations over the rights of regular citizens, was a concern. While Casey admitted he had problems with Gorsuch’s record, he also said it was his job as a Senator to listen to the confirmation hearings, ask tough questions, and deliberate, which he promised to do.